Having studied fine arts and figure painting, I can’t help but see a wedding as a blank canvas. I love creating environments that are intimate yet refined, romantic yet understated, filled with soft lines and fragrances, warm light, and colored glass, all to encourage people to connect and reconnect, to love and feel loved. Like most wedding planners, I have a passion for detail. More importantly, I understand how to make all of these details work together to contribute to the whole of the experience. Because when you look at a painting, it’s not only the brushstrokes that matter, it’s also the feeling you walk away with. The Soiree by Souleret client is looking for a unique affair that is filled with personal elements and BIG attention to detail. Our ideal clients are excited to plan their weddings and they are grateful for all of the time and care that goes into crafting a beautiful day. I love weddings filled with lush florals, delicate fabrics, beautifully sunlit rooms or tents, and couples who are beaming with happiness! I always start by getting to know as much about the couple as possible…how they met and got engaged, how they would describe one another, hobbies, wedding day dreams, etc. I create a mood board for my own design purposes, and ask my clients to collect inspiration on Pinterest. Then, we set out to find or build a venue within the client’s budget and style. 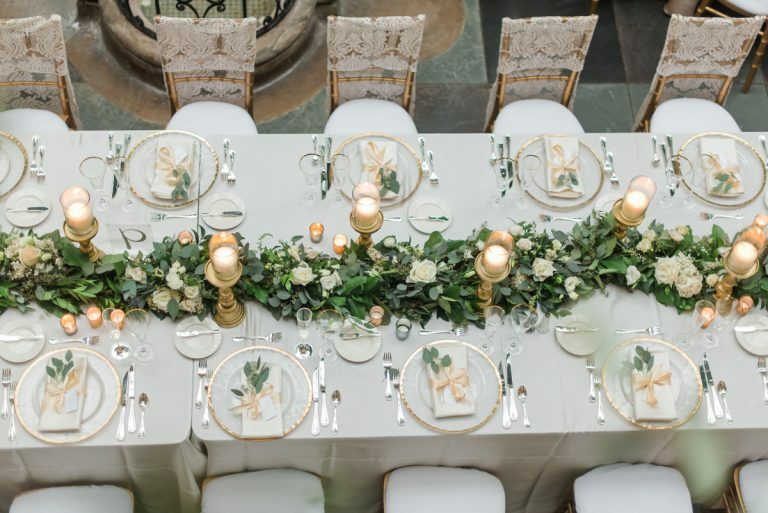 Once a venue is selected, linens come next! They are a great building point of which to begin booking rentals, florals, and other important details. I introduce my client to vendors in face-to-face meetings and at about 3 months out, we do a final mock up!